Popular Indian snack made with a paneer filling. 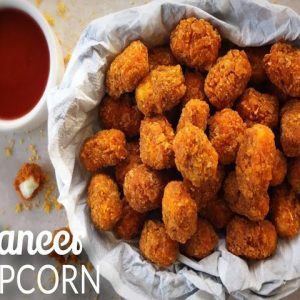 Serve as a snack or as an appetizer. 1. Combine the maida, butter and salt in a bowl. 2. Mix well to a puri dough consistency. 3. Heat a little oil in a pan. 4. Fry the cumin seeds for 30 seconds. 5. Add the onions, green chillies and saute for a minute or two. 6. Add red chilli powder, lemon juice, salt and paneer. 7. Mix well and stir-fry for a minute. 9. Make small balls of the dough and roll them in small/medium puris. 10. Shape the prepared puris into cones and add 1 or 2 tblsp of the paneer mixture. 11. Fold and seal the edges with little water. 13. Fry the prepared samosas until golden. 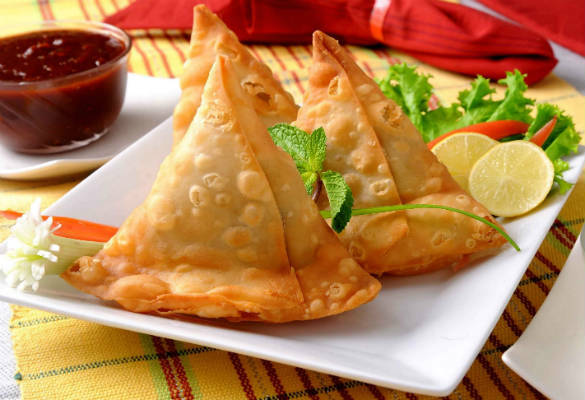 Feel free to comment or share your thoughts on this Paneer Samosa Recipe from Awesome Cuisine.